Tamara Kay, a scholar with extensive experience in Latin America and Africa, will join the new Keough School of Global Affairs as associate professor of global affairs, according to Scott Appleby, Marilyn Keough Dean of the Keough School. Kay will hold a joint appointment in the Notre Dame Department of Sociology. Kay is the author of the award-winning book NAFTA and the Politics of Labor Transnationalism (Cambridge) and co-author of a second book manuscript on trade battles, activism, and the politicization of international trade policy. She has conducted intensive ethnographic fieldwork in Brazil, Mexico, Colombia, Israel, Palestine, Jordan, Nigeria, and India for her third book project, which focuses on transnational relationships among nongovernmental organizations in the U.S. and in developing countries. Kay received her Ph.D. from the University of California, Berkeley, and she spent two years as a postdoctoral fellow at the Center for U.S.-Mexican Studies at the University of California, San Diego. 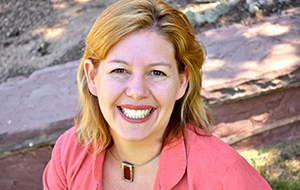 Prior to joining the faculty at the University of New Mexico, she was associate professor of sociology and co-director of Harvard University’s Transnational Studies Initiative. The Keough School of Global Affairs is the first new school or college at Notre Dame in nearly a century. Founded in 2014 and named in honor of Notre Dame life trustee Donald R. Keough, the Keough School will offer undergraduate programming and a two-year professional Master of Global Affairs degree to prepare students for skilled, effective, and ethical leadership and impact on the world.